⚓ T2510 Old Quest Marker Fix doesn't have the option for "Graduation finished, but seeing doubles!" 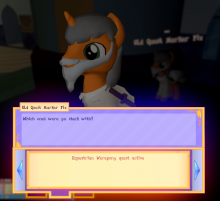 during broken Graduation Quest. Old Quest Marker Fix doesn't have the option for "Graduation finished, but seeing doubles!" 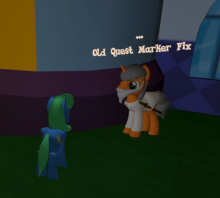 during broken Graduation Quest. 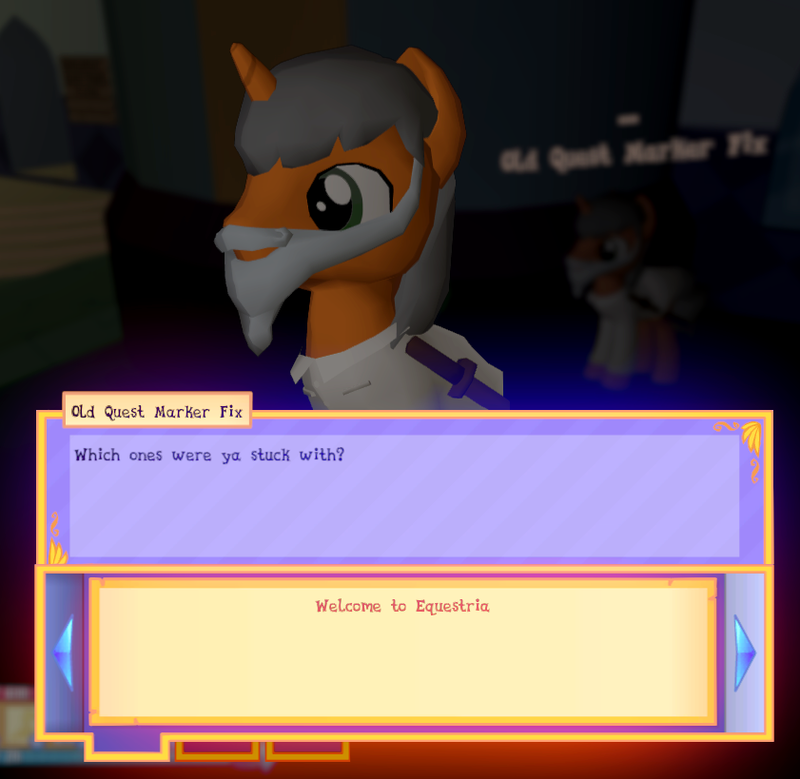 Windhover tells me to go see a pony named "Old Quest Marker Fix" and select a certain option called "Graduation finished, but seeing doubles!" but there is no option for that. 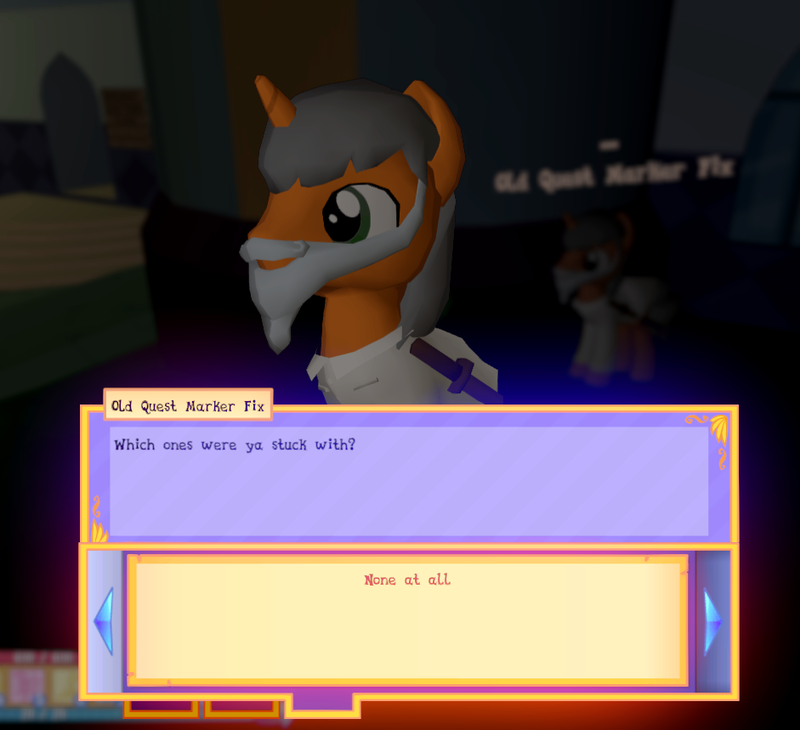 When I talk to Old Quest Marker Fix it should have an option in the dialogues for "Graduation finished, but seeing doubles!" 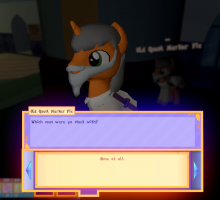 Launch game -> login -> go to the quest "First Day Of Our Pony Lives" and then talk to mercury and then to Windhover and then talk to them again, if the game doesn't let you advance then talk to them again and they should say "If you can still see me after graduating, there is a problem. 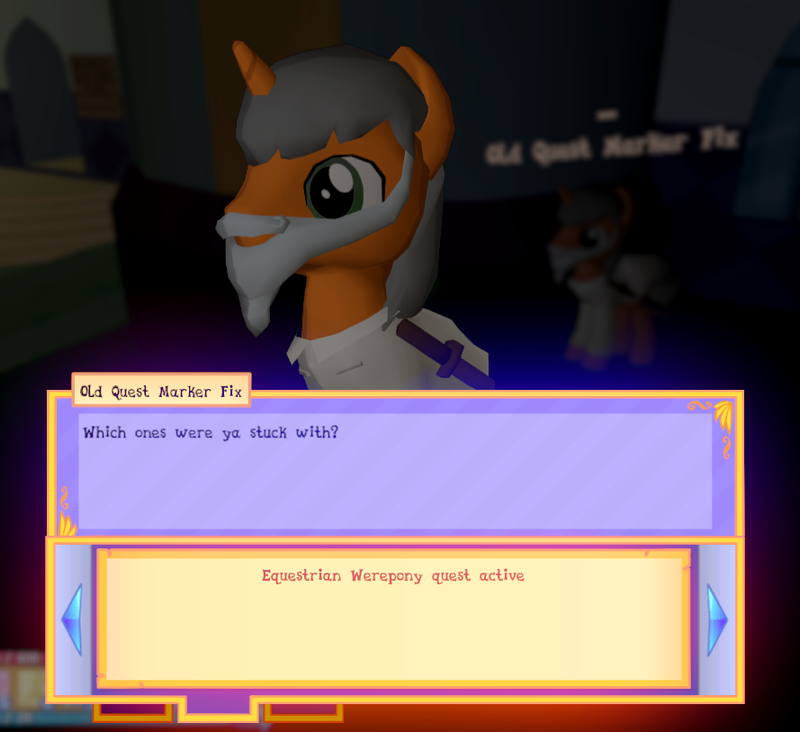 Please go see Old Quest Marker Fix and Answer "Graduation finished, but seeing doubles!" Repeat that until I go away. then go over to Old Quest Marker Fix and if he doesn't have the dialogue for "Graduation finished, but seeing doubles!" then you reproduced it correctly. Have you actually finished graduation? 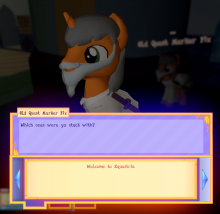 Is the "First Day of Our Pony Lives" marked as complete in the journal? 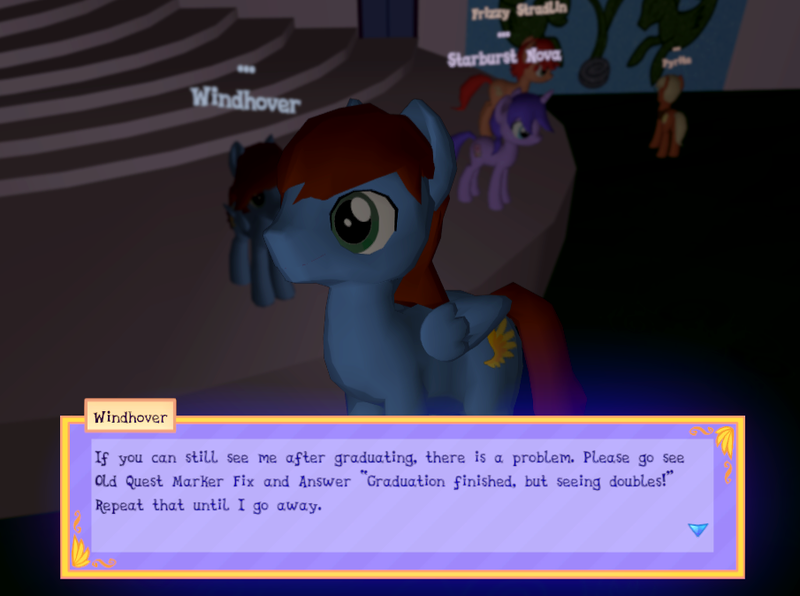 Unless you've actually finished graduation, the option will not appear with Old Quest Marker Fix. Closing this up since there has been no further communication regarding the issue, it does not appear to be widespread, and we cannot attempt to fix it for an individual without further information.